At McNICHOLS, you can choose from a vast selection of Hole Products with the guidance of knowledgeable associates, online and in-person classes, and other informational Resources. In addition to providing outstanding products and services, we are also passionate about educating customers on the proper application of McNICHOLS products. 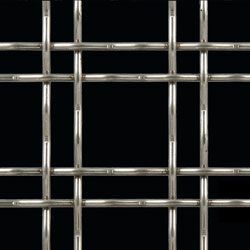 McNICHOLS® Designer Metals are a popular choice for architects, interior designers, homeowners, and other customers seeking versatility and aesthetic appeal. Our Architectural Design Specialists can help you bring your project vision to life. Their in-depth understanding of our products enables them to provide informed and relevant product and application suggestions. They are ready and Inspired to Serve® you at 800.237.3820 or designermetals@mcnichols.com. In addition to the services of our Architectural Design Team, McNICHOLS offers online resources to help you research and plan your next project. These resources detail the various McNICHOLS® Hole Products and Services available to you. Our Case Studies explore ways McNICHOLS assisted customers in solving design challenges using Hole Products. Gallery images of McNICHOLS product applications are certain to inspire your next design! Resources nested in each product landing page contain Hole Product specifying guides, load tables, technical specifications, and other reference material. McNICHOLS offers online and in-person classes to guide you through architectural applications, material specification considerations, terminology, and other aspects of working with the products we carry. 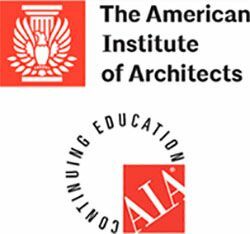 Our classes are certified by several industry associations, including the American Institute of Architects Continuing Education System, or AIA CES. These credits help design and building industry professionals meet continuing education requirements within their fields of work. Our online self-study courses download to the electronic device of your choice, allowing you to participate at your convenience. Please click to register today!